President Trump said his Chinese counterpart, Xi Jinping, deserves a special thanks for releasing three UCLA basketball players accused of shoplifting. The tough-talking commander-in-chief also gave a warm wish and some life advice to the recently freed athletes. “To the three UCLA basketball players I say: You're welcome, go out and give a big Thank You to President Xi Jinping of China who made.........your release possible and, HAVE A GREAT LIFE! Be careful, there are many pitfalls on the long and winding road of life!” Trump wrote in a pair of tweets Thursday morning. 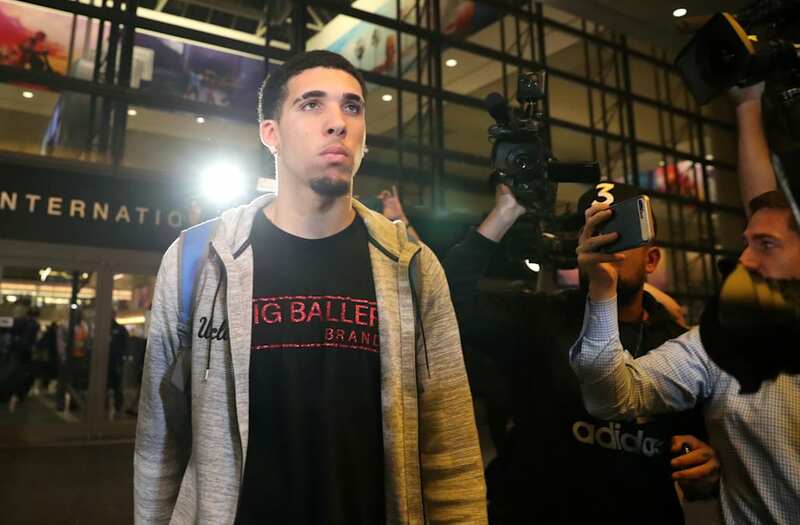 LiAngelo Ball, Jalen Hill and Cody Riley all thanked Trump on Wednesday for rushing along their release. The President asked Xi about their release during his visit to China last week, and they returned stateside Tuesday night. Trump previously nudged the sticky fingered athletes into making a public thanks. White House Chief of Staff John Kelly later told the New York times their charges were reduced to misdemeanors. ESPN previously reported the three were captured lifting from three separate stores during their trip to China. They spent nearly a week in custody. All three were suspended by UCLA upon their return to the U.S.
“They will have to earn their way back,” UCLA basketball coach Steve Alford said.